Tour Habitat For Humanity's West Pullman Development with Jennifer Parks, Executive Director, and LeRoy Chalmers, Strategic Partnerships Manager. West Pullman spans parts of the 34th and 9th wards of the City of Chicago, and boasts the largest urban photovoltaic solar plant in the United States. Home to 30,000 Chicago residents, West Pullman also contains the Major Taylor bike trail, the new West Pullman branch of the Chicago Public Library, a number of public parks, and the Salvation Army's Kroc Community Center. The tour will showcase neighborhood assets, a build site, and community initiatives. 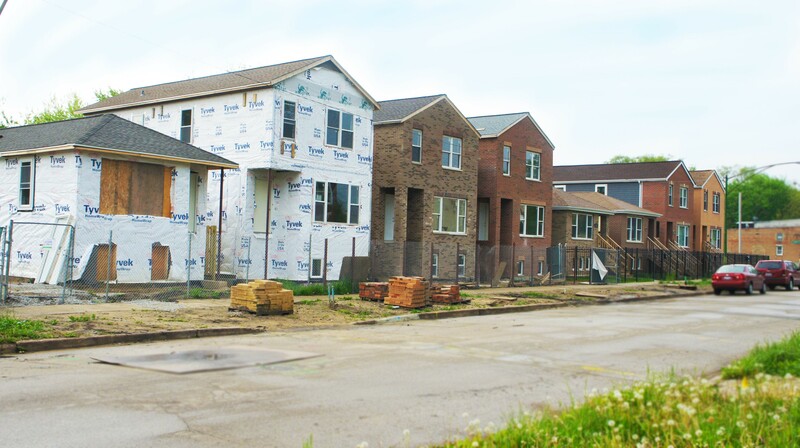 10:00am-10:30am Kroc Community Center (1250 W. 119th St.) Jennifer Parks will explain Habitat for Humanity’s selection of and investment in the West Pullman neighborhood and lead a tour of the community center. 10:40am-11:10am Build Site (11928 S. Union Ave.) Peter Znika, construction manager for HFH Chicago, will discuss HFH’s vision for the neighborhood and lead the group through the build site, including a completed house. 11:15am-12:00pm 119th Street Businesses (641 W. 119th St.) The group will travel on foot from the build site to the 119th Street Business Corridor and see the ongoing renovation of an existing building into a locally-owned salon and community jazz club. The salon owner, Jackie Johnson, will highlight the business vision for the neighborhood and Abraham Lacy, Executive Director of the Far South Community Development Corporation will present the 119th Street Corridor Development Plan. Open discussion and Q&A to follow. Note: It is necessary to drive from the build site to the community center; please make transportation arrangements prior to the program. Habitat for Humanity Chicago serves families and communities in the City of Chicago and Cook County. Their mission is to build homes, strengthen families, and enhance communities in Chicago.